Turn your favorite photos into a work of art with raw-edge applique and more! 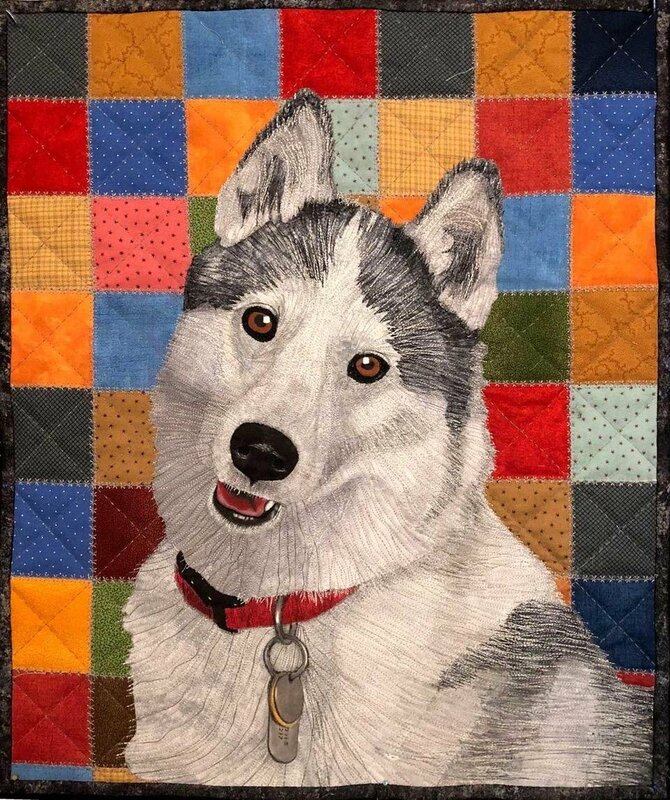 Guest educator Dan Mueller will show you how to turn your pet or animal photos into a quilt. If pets are not your area of interest, bring a photo of a flower or other object. This is a two-day workshop, May 9-10 at 10 a.m. Sign up by calling us at 605-334-1611 and reserve your spot - we will provide a supply list to fully prepare you before class. NOTE: You will NOT need your sewing machine! All quilting and finishing will be done at home. Pre-washed light weight muslin for base. Assorted fabric scraps. Your photo enlarged to the finished size of your quilt. Sharp embroidery scissors, paper and/or fabric scissors, tweezers, stiletto or Purple Thang, and painters tape. A piece of foam board to match the size of your project. Additional fee for finishing kit.